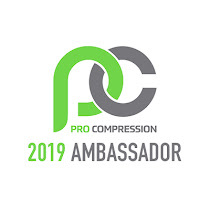 I don't know if you remember my post from February about this company, but hopefully you do! 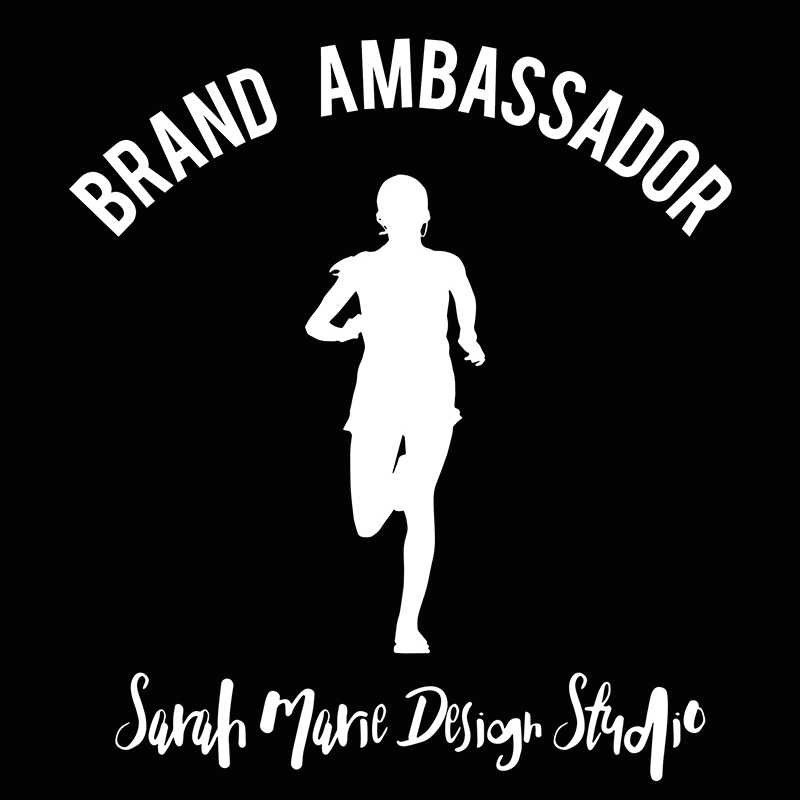 Kathy is an amazing SoCal mama, wife, runner, and triathlete who runs (pun TOTALLY intended) the Etsy store Run With Perseverance. 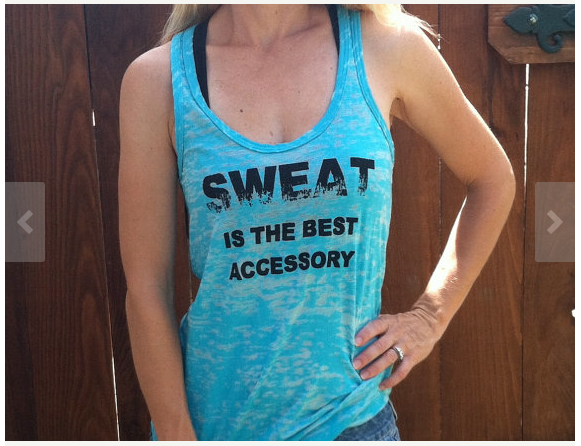 I thought I originally found the store at the beginning of the year when I was looking for cute running gear online, but as I quickly realized, I have been wearing it for MUCH longer (my awesome sister-in-law got me one of the tanks for Christmas 2012 :) ). Although I began chatting with Kathy online at the beginning of the year, I was lucky enough to meet her a couple months ago. 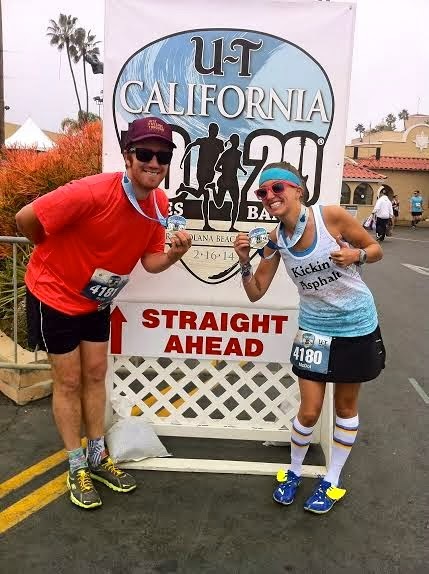 If you didn't read my Disneyland Half Marathon recap (shame on you), then you probably missed it. She was hanging out with her dad (and his SWEET Classic Truck) and ended up chasing me down when I ran by her! We didn't grab a picture together (it must have been the humidity getting to my brain, I wasn't even thinking about photo which is SO not me), but you better believe the next time I see her we will TOTALLY be documenting it! 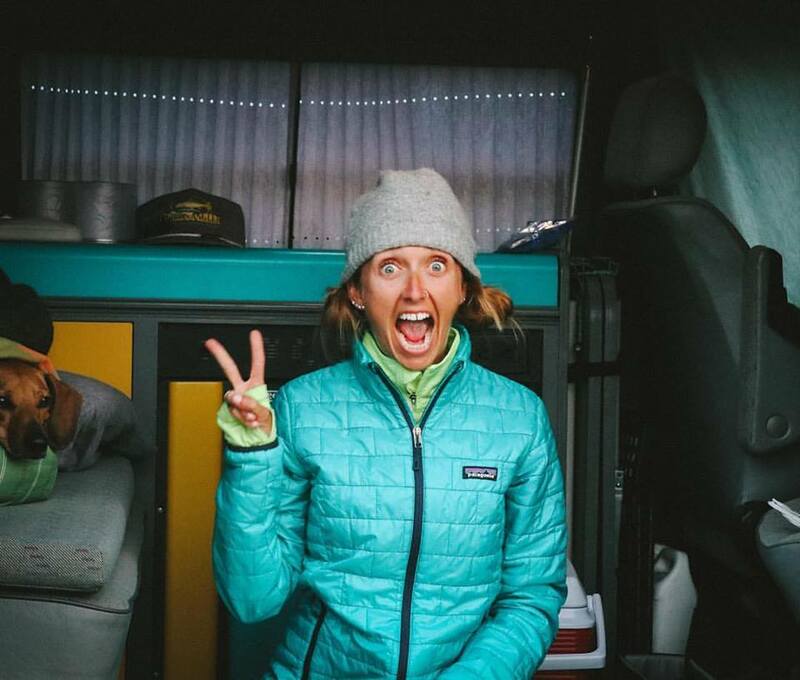 We have kept in touch on social media and was STOKED when I saw she was releasing new items (new designs, new colors, and even new base tanks). I was HONORED when she reached out to me and asked if I would be willing to try out another one of her tops. Oh, you better believe I JUMPED on the opportunity. 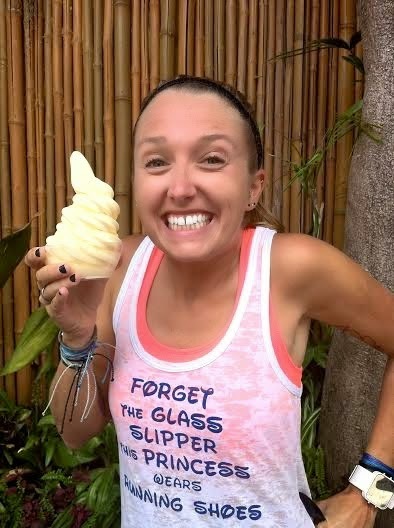 Um... Can you say PERFECT for the Star Wars Half in January?! November I might have ordered this one! Marilyn is my mom's FAVORITE! WAKE UP AND BE AWESOME! Um, pretty perfect, right?! 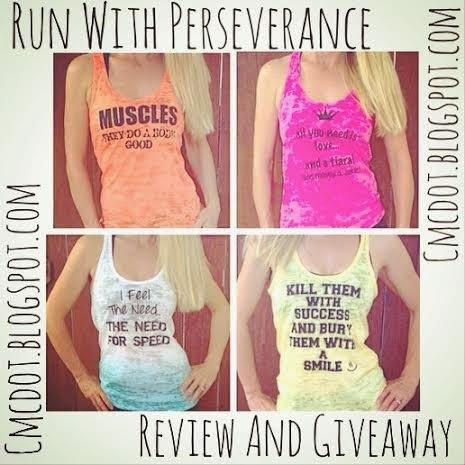 Just like all of the other tanks I have from Run With Perseverance, THEY ARE AWESOMESAUCE! Super soft, easy to run in, and I always get tons of compliments! The burnout material makes the tops extremely breathable! 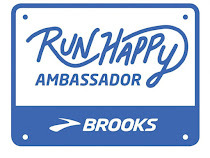 And don't get me started on the rad, new color choices - plenty to pick from to match any runner's style. 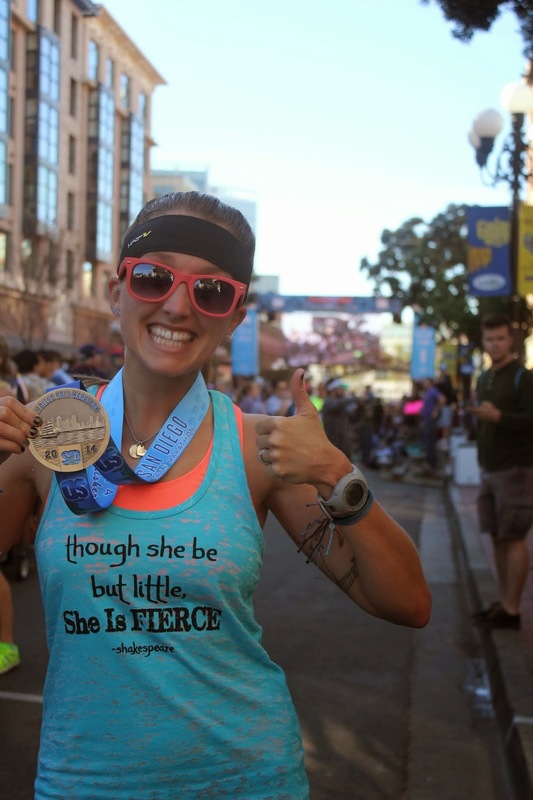 I wore my "though she be but little, She Is FIERCE"
And not only is Run With Perseverance one of MY favorites, but now it can be one of YOURS! That's right! 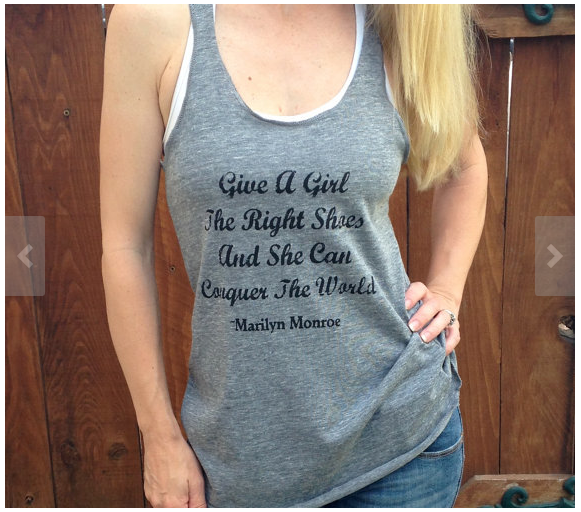 Kathy has offered up a tank top OF YOUR CHOICE for one lucky reader! HOW FAN-FREAKIN'-TASTIC IS THAT?! You get to pick the size, color, and design! I promise, you will NOT be disappointed! Enter early and often (some of the entries are available DAILY). The giveaway will run through Thursday, November 6th at 11:59pm PST. I will contact the winner via email (using the email address listed through Rafflecopter). Also, the entries ARE verified, so please make sure you complete the task or I'll have to pick a new random winner. BEST OF LUCK TO EACH AND EVERY ONE OF YOU WHO ENTERS!! "Muscles, They Do a Body Good" would be my tank of choice. I love to lift weights! I would love the "Wake up and be awesome" shirt (she said while singing "everything is awesome...". Look like a beauty run like a beast would be my choice! Would love to win! 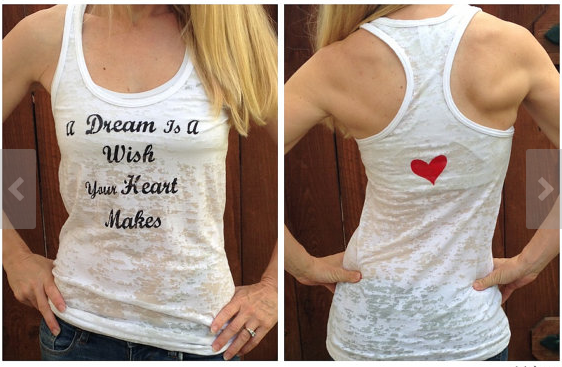 Love the "A Dream Is A Wish Your Heart Makes" tank top! Kill them with success and bury them with a smile! I like to handle most things in my life with a smile! I would love the Wake Up and Be Awesome! 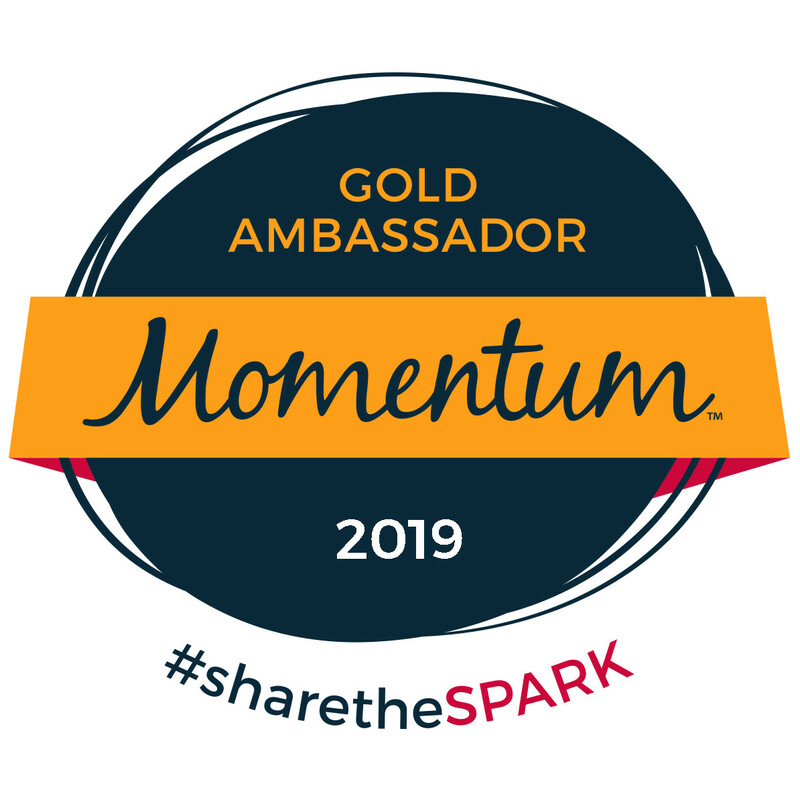 I am a November Project member in Boston and that is what we do 3 days a week!!! 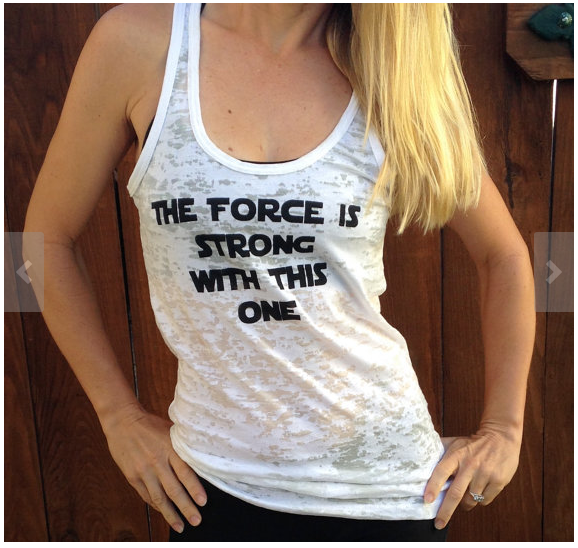 I would want either the Star Wars "Force" tank or the "little but fierce"!! I absolutely LOVE the Star Wars one! And wake up and be awesome! I love the A Dream Is A Wish Your Heart Makes tank! I like the wake up and be awesome tank! I like the "Everything is Possible" and "Need for Speed" shirts. I would get "Wake Up and Be Awesome" since my bootcamp classes are at 5 am! SO MANY TOUGH CHOICES!!! 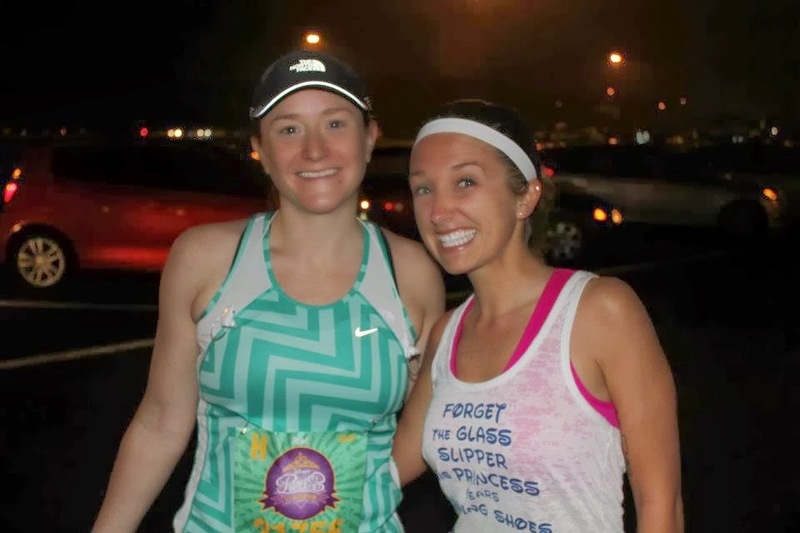 If I had to choose one I'd have to go with the "Forget the glass slipper..." because it perfectly meshes Disney and running together. Wake up and be awesome! I try and tell my kids this every day. I think the "Muscles Do a Body Good" would be perfect for teaching group fit classes. They are all so cute! 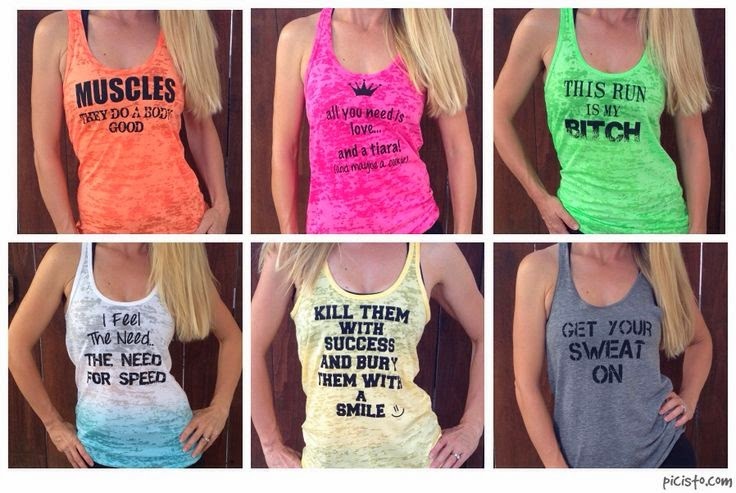 I think I would choose the tank that says "Forget the glass slippers, this princess wears running shoes." So perfect! Thanks for a chance to win! thou she be but little she is fierce! I'd get the Kickin' Asphalt one! Love these! "Wake Up and Be Awesome!" "The force is strong with this one". I am doing the Star Wars half in January too! 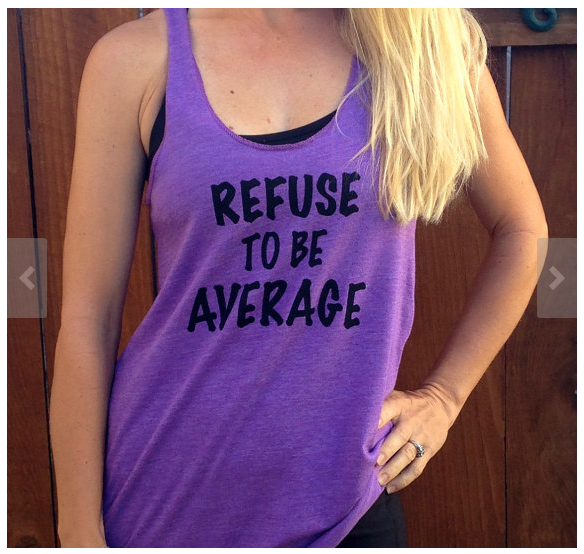 I live the tank- Refuse to be Average! 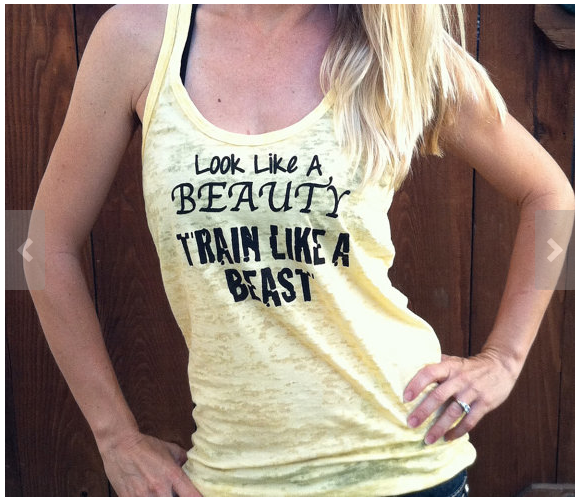 Look like a beauty, train like a beast! 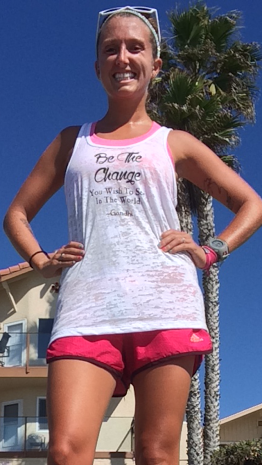 "Forget the glass slipper this princess wears running shoes"
"Wake up and be awesome" or "Impossible is temporary". I love "though she be but little she is fierce!" I'd get "Though she be but little, she is fierce". I love that quote. There are so many great ones to choose from! Maybe the "wake up and be awesome" but I'm not sure. So many great tops to choose from...I really like the Muscles Do the Body Good burnout tank and the Impossible is Temporary tank! Ah, this one's a hard one. It's a toss up between "You only live once. You might as well be badass." or "Though she be but little, she is fierce." :]! There are so many to choose from! I'd have to go with either the "Forget the Glass Slipper..." or "Eat my Pixie Dust" in honor of the Glass Slipper Challenge in Feb.
hmmm, there are so many to choose from! probably the i can do all things... or wake up and be awesome! I love the "Forget the Glass Slippers This Princess Wears Running Shoes" one!